WTA06. Collection of Ms. Julie Teo. 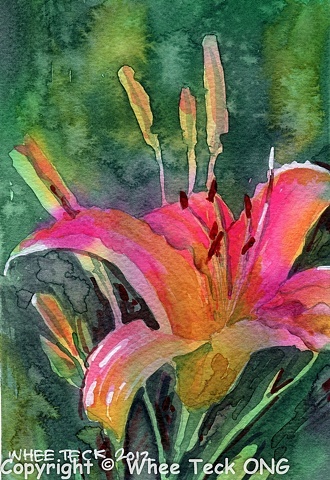 Pink Lily is another one in the negative painting series that Whee Teck did to practice painting around the main shapes. Little studies like these are important to test design elements of a painting before committing to larger canvas. Sometimes they become delightful little gems on their own.